Apple today launched its mobile payments service Apple Pay in China where the electronic payments market is already dominated by an arm of e-commerce giant Alibaba. Shoppers in China can now use contact-less payment system Apple Pay to make purchases after US tech giant Apple and Chinese bank card association UnionPay launched the service on Thursday. Users of the iPhone 6, iPads and Apple Watches will be able to use these devices, equipped with near field communication (NFC) technology. The world’s second-largest economy is a crucial market for the Apple Inc. Apple said "Apple Pay" could be used by 19 banks, "numerous merchants" and app developers. 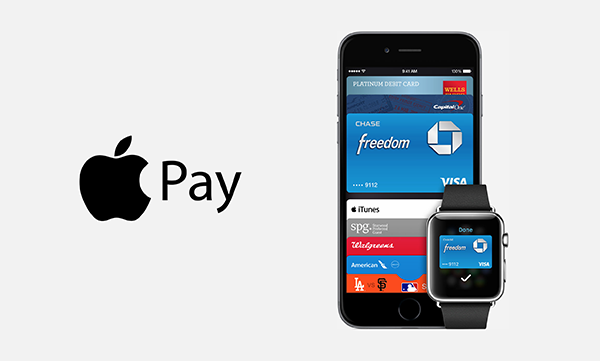 Apple's electronic payment system started in the United States in October 2014 and has since spread to Britain, Canada and Australia. Apple Pay is accepted by the merchants include supermarket Carrefour, fast food outlets McDonald's and KFC, and convenience store 7-Eleven and 1700 restaurant too. The market is dominated by Alipay, an arm of the e-commerce giant Alibaba Group. WeChat Payment, operated by social networking and gaming company Tencent Holdings Ltd, is also popular.